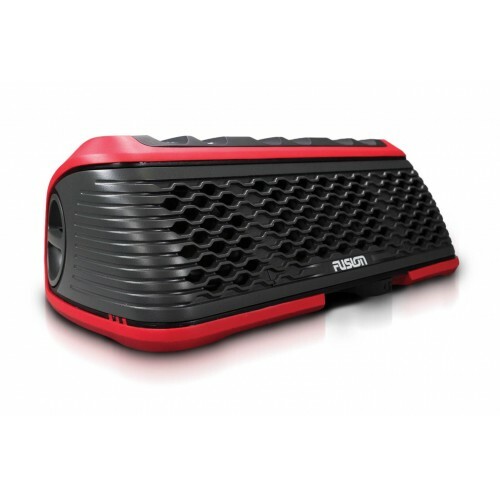 An ultimate all-in-one, plug and play audio solution, the Panel-Stereo combines all the elements required for excellent audio reproduction inside a single perfectly tuned enclosure. 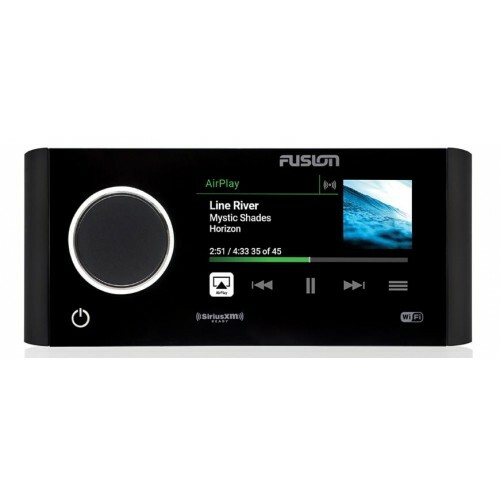 Enjoy flexibility in audio control options with Bluetooth audio streaming, AM/FM radio, USB and AUX audio connections available, providing incredible audio reproduction and a smooth frequency response with Fusion’s Digital Signal Processing (DSP). Voice prompts guide operation of the stereo, and the versatility of three simple mounting options available lets you install your stereo where it is best suited. 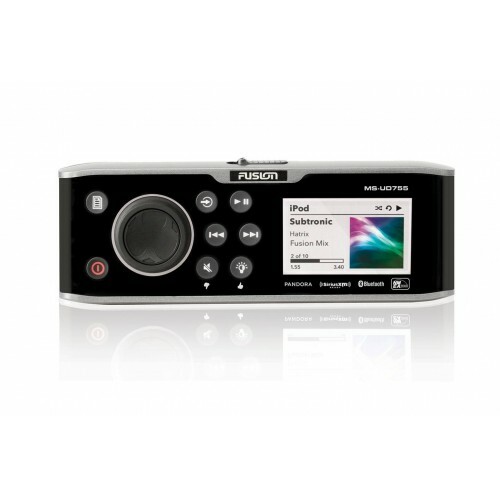 The Panel-Stereo is a seriously versatile solution for quality in-cabin audio entertainment. 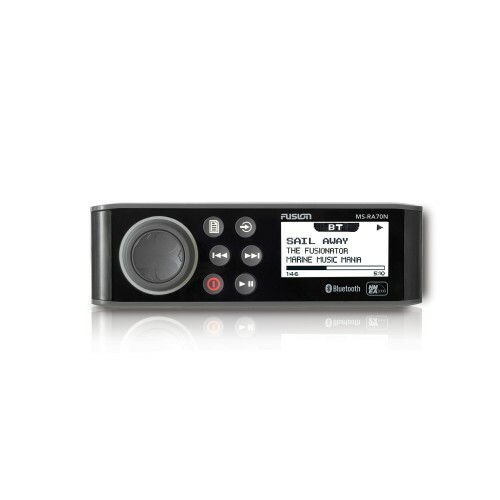 Hi-Fi Audio Reproduction Through DSP: Digital Signal Processing optimizes the entire audio chain, ensuring the speaker components always receive premium quality audio for an efficient, incredibly smooth frequency response and Hi-Fi audio reproduction at every volume level. 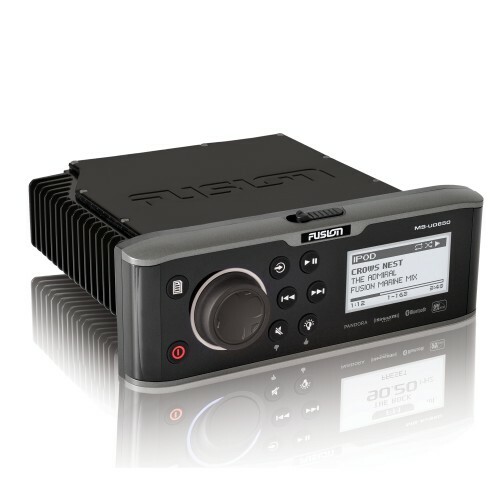 Plug & Play All-In-One Audio Entertainment Solution: With built-in Class-D amplification, stereo source selection of Bluetooth, AM/FM radio, USB and AUX, two 3” speakers and a large surface bass radiator all combined in a perfectly tuned enclosure, the Panel-Stereo provides a one-product solution for in-cabin audio entertainment. All the acoustic parameters have been calculated by our acoustic engineers and taken into consideration when designing the enclosure to ensure quality audio reproduction wherever the Panel-Stereo is installed. Simple, Versatile and Cost-Effective Installation: Designed for easy installation, the Panel-Stereo only requires 12V dc power, ground and AM/FM antenna connections. With three mounting options available to create a professional finish with a maximum of only one cut-out required, the Panel-Stereo is a seriously versatile solution. The 43mm (1.69in.) 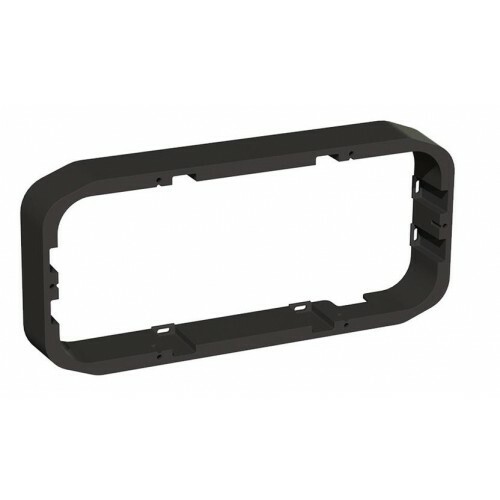 surface mounting spacer allows installation directly onto any flat surface with no cut-out required, and its shallow depth allows for installation in a shallow wall cavity, either installed flush or flat for a premium finish. 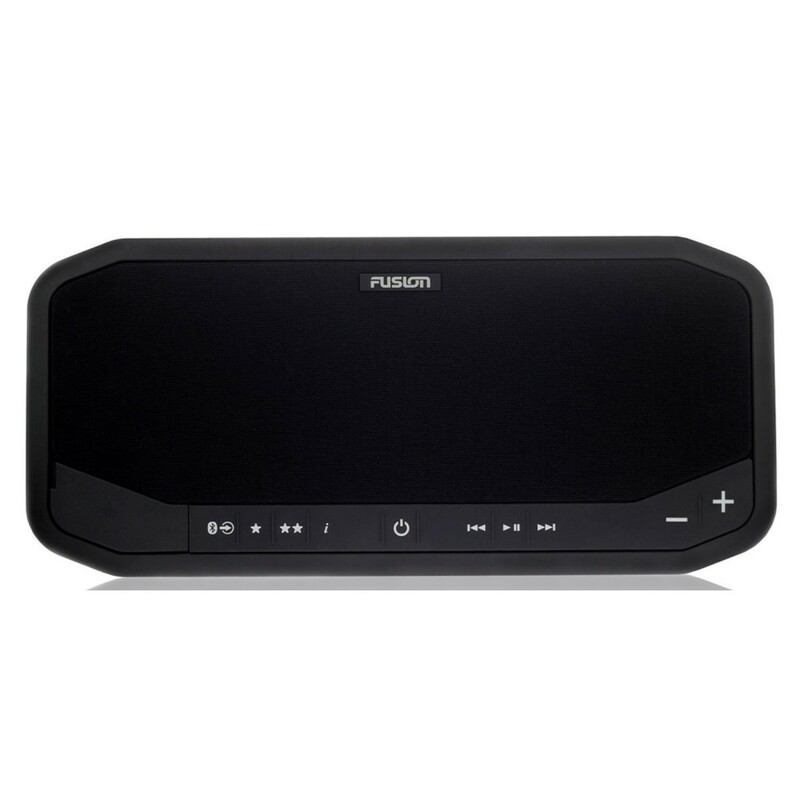 Bluetooth Wireless Technology: Stream your family’s favorite soundtrack from any compatible Bluetooth enabled device with Bluetooth audio streaming. 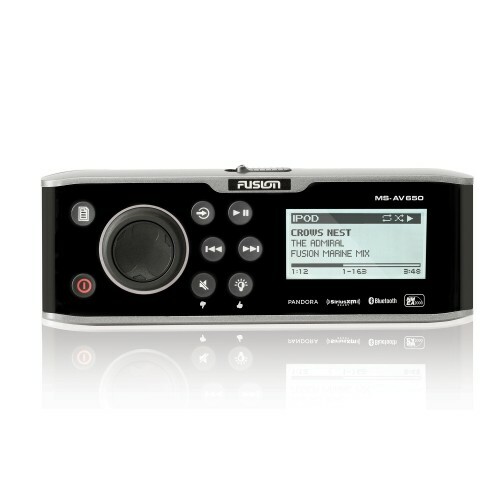 Control is available from either the Panel-Stereo or the connected device. Voice Prompts: Audible feedback is given as you cycle through music sources, change stations and save presets. These voice prompts are available in English, French, German, Dutch, Italian, Japanese, Mandarin and Spanish. 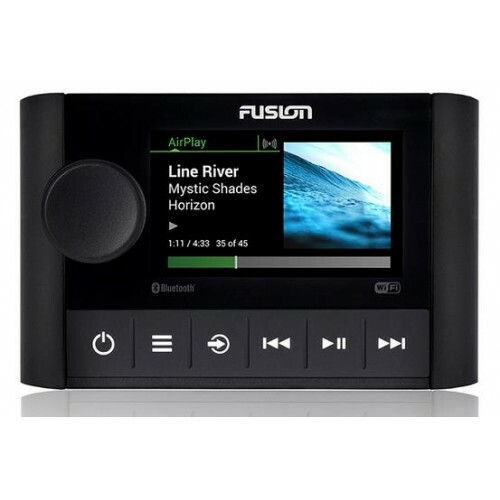 Fusion-Link™ Control: Enjoy the freedom of wireless control of your audio entertainment from your compatible Apple or Android device with the free Fusion-Link app via Bluetooth. 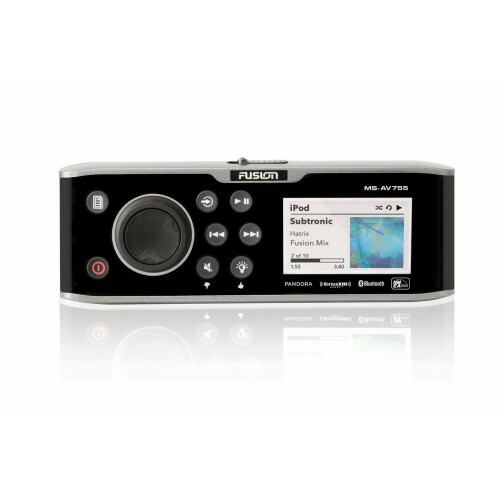 Download the free Fusion-Link Lite app to enable wireless control via ANT Technology from your compatible Garmin watch. *The Fusion-Link app is available for download from the Apple App Store® and Google Play™. 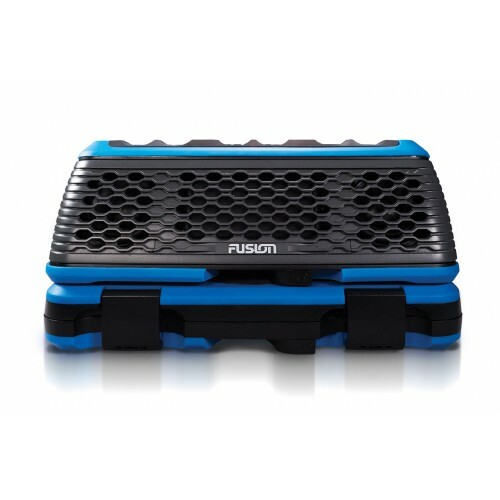 The Fusion-Link Lite app is available for download from the Garmin Connect IQ store. 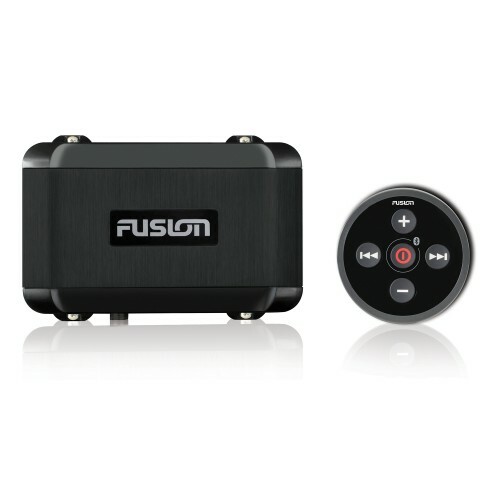 Fusion's Digital Signal Processing (DSP) optimizes every step of the audio chain through calculations by our engineers to deliver a technically superior listening experience wherever your Panel-Stereo is installed. The optimization of the entire audio chain results in a system that is perfectly tuned for premium audio reproduction at any volume level, and programmed to protect the components season after season. 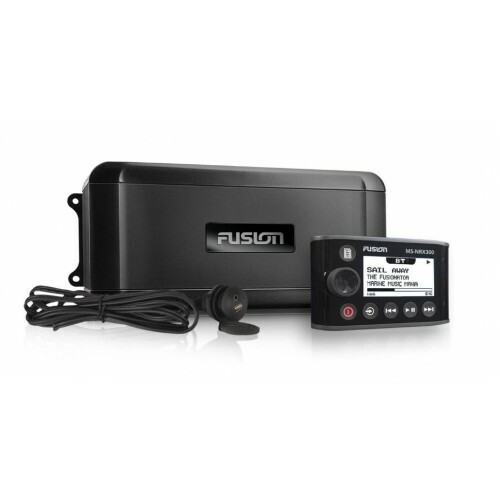 The industry standard protocol for on-water audio integration and control, Fusion-Link enables control of your entertainment directly from your compatible Apple or Android devices and Garmin watches. 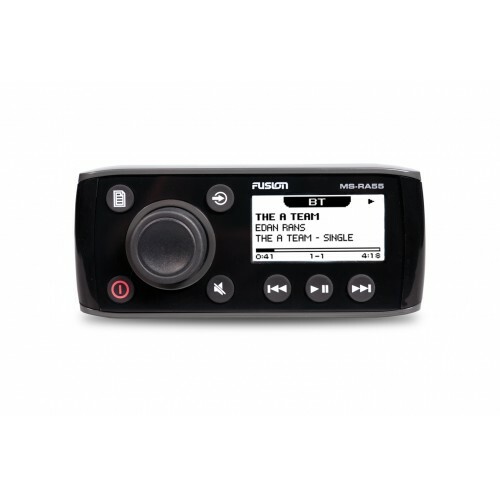 Simply download the free Fusion-Link app from the Apple App Store® or Google Play™ to enjoy wireless control via a compatible Apple or Android device, or the Fusion-Link Lite app from the Garmin Connect IQ store for stereo control on your compatible Garmin watch.